Building booms around the world can render entire neighborhoods unrecognizable in a matter of days, demolishing historic structures to make way for new developments. 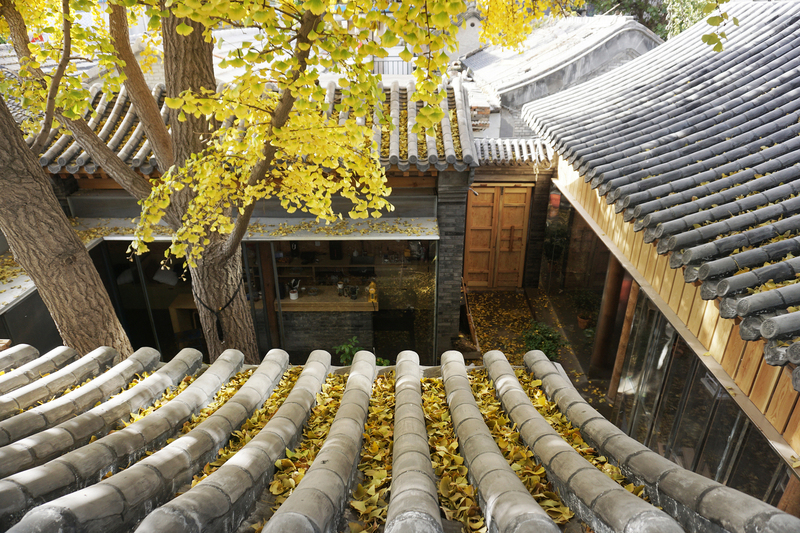 In cities like Beijing, where older architecture such as “siheyuan” courtyard houses stand out for their uniqueness and beauty, the transition from traditional to contemporary can feel all the more jarring. Urban development is all but inevitable to manage growing populations, but for many onlookers, it’s sad to see the past bulldozed in favor of new buildings that don’t even acknowledge the area’s cultural and architectural legacy. Many of Beijing’s older buildings fell in a frenzy of demolition throughout the 1990s and early 2000s. 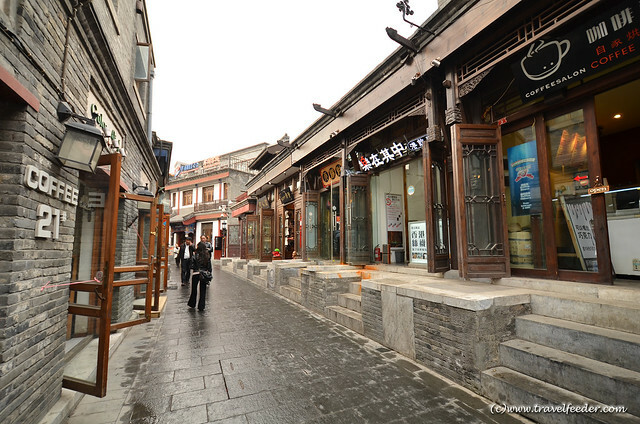 Traditional “hutongs,” or ancient city alleys lined with siheyuan residences, had fallen into disrepair and often lacked basic services and sanitation. City planners reportedly saw the historic, hutong-filled core of the city surrounding Tianenmen Square and the Forbidden City as prime real estate. In the ‘90s, about 600 hutong were destroyed every year, displacing roughly 500,000 residents. In place of those neighborhoods built during the Ming Dynasty came glittering skyscrapers and eight-lane highways. Only a few hundred complete courtyard houses remain, down from the 3,000 that stood during the 1980s. But among those that still exist, an interesting trend is taking root: modernization projects that preserve and honor the historic structures while making them suitable for 21st century lifestyles. 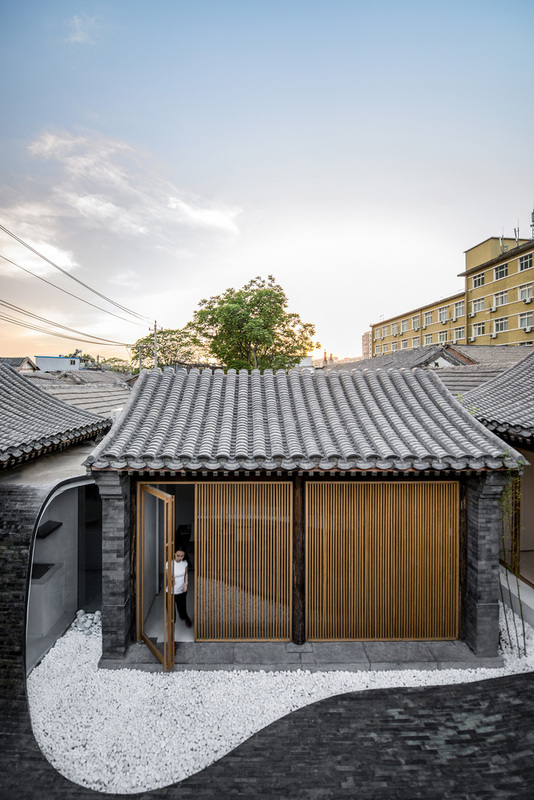 The best examples of respectful Chinese courtyard house renovations repair and maintain the existing elements of the siheyuan, keep the courtyards open to the outdoors and add new complementary elements that augment the usefulness of the original buildings without diminishing their character. 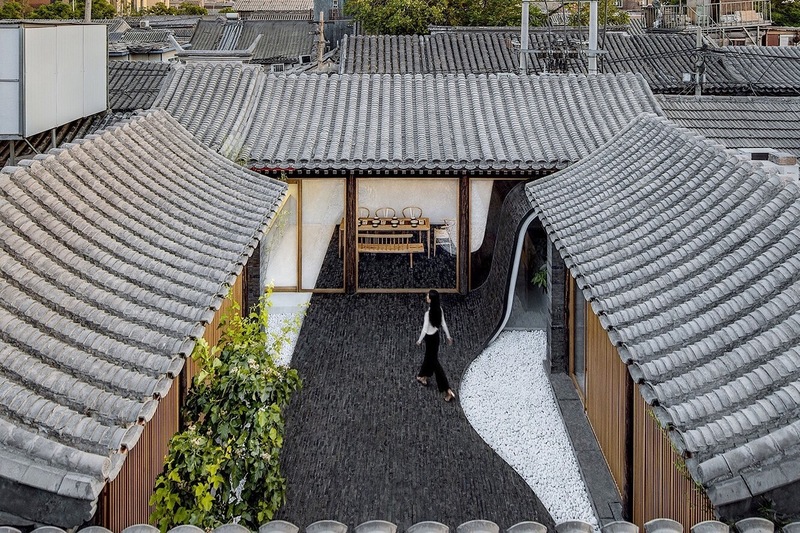 Designing homes around courtyards is an ancient tradition in China, with evidence of walled-in yards going as far back as the Shang Dynasty (approx. 1700 – 1100 BCE). 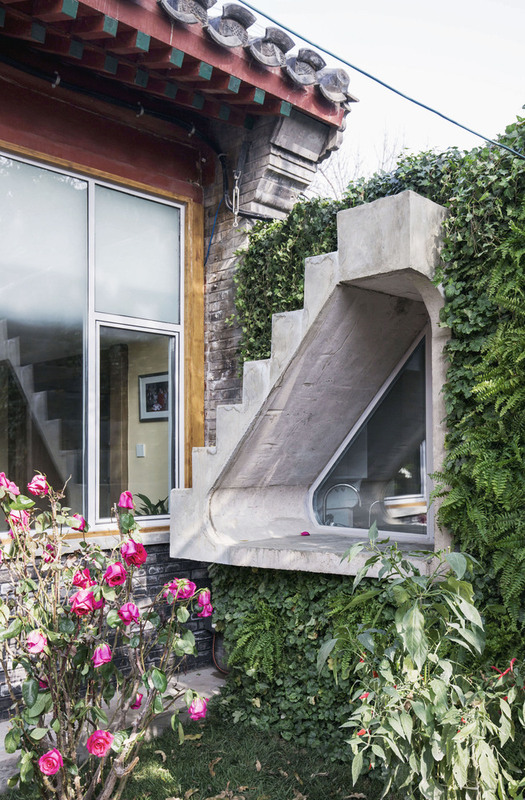 The houses themselves opened out onto the alleyways outside, creating tranquil and private outdoor spaces protected from the eyes of strangers. This layout is similar to that of Beijing itself, which began as a walled city arranged like a checkerboard according to Confucian code. Each courtyard contained at least two trees along with water features and caged birds. 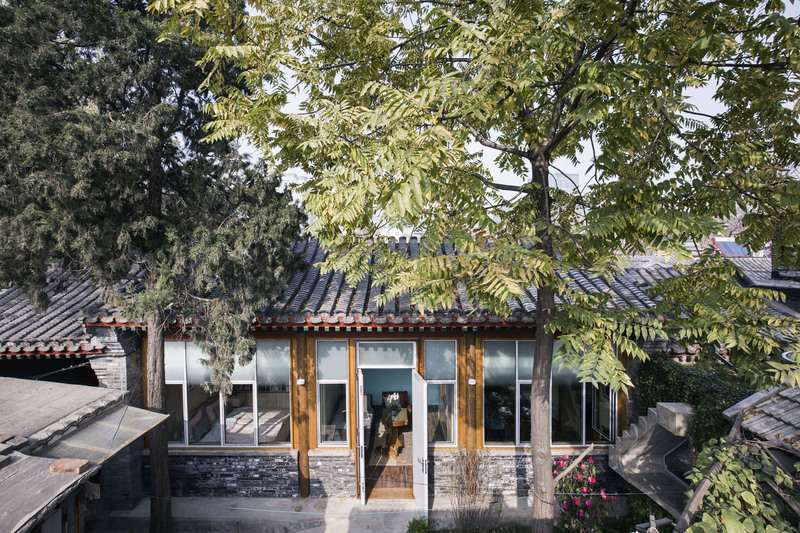 Originally, each siheyuan was occupied by a single (often wealthy) family, but over time, they came to be inhabited by groups of families forming their own tiny villages. Many have since been converted into businesses. 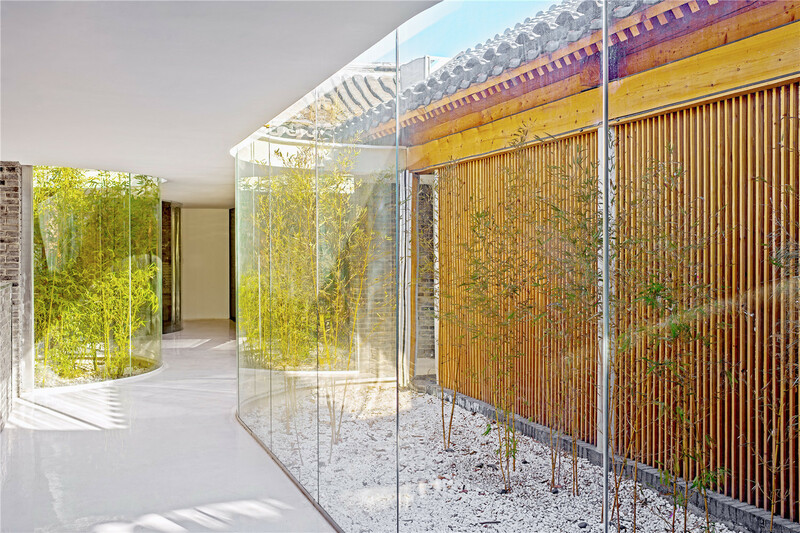 The walls of a hutong “can be seen as a boundary between public and private venues,” acknowledges the firm MINOR Lab, which completed this renovation in the Dongcheng District in 2017 updating an old hutong with lots of transparent glass, translucent textured acrylic panels for privacy and warm wood. But their project, like many others, transforms these former residences into spaces that are meant for community use. 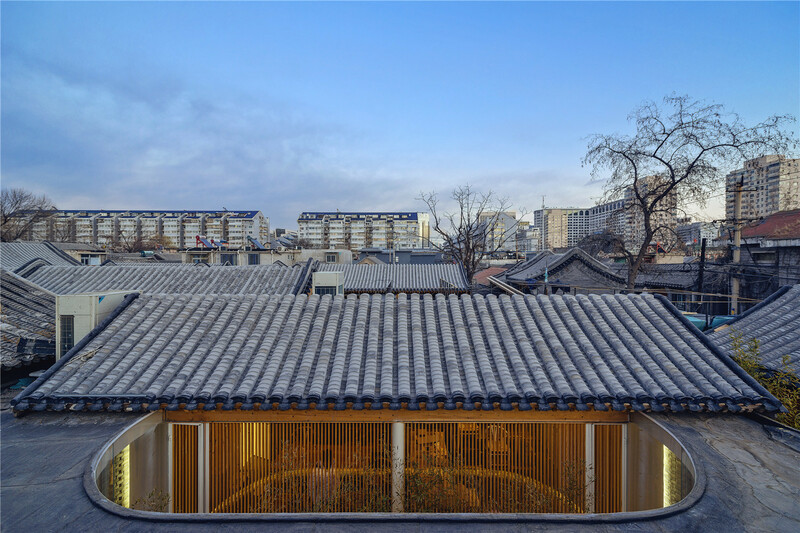 An interesting project by the firm CAA explores the continuation of multi-family and multi-generational hutong traditions in a way that can help support the owner’s aging parents, who have Alzheimer’s Disease. 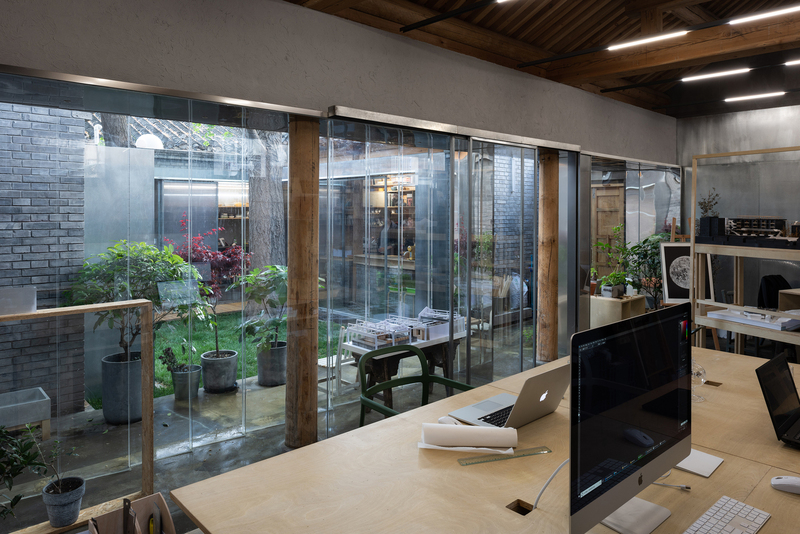 CAA kept the hutong’s original wooden structure and added an additional steel roof, creating larger windows and skylights in the existing structures to make them brighter. 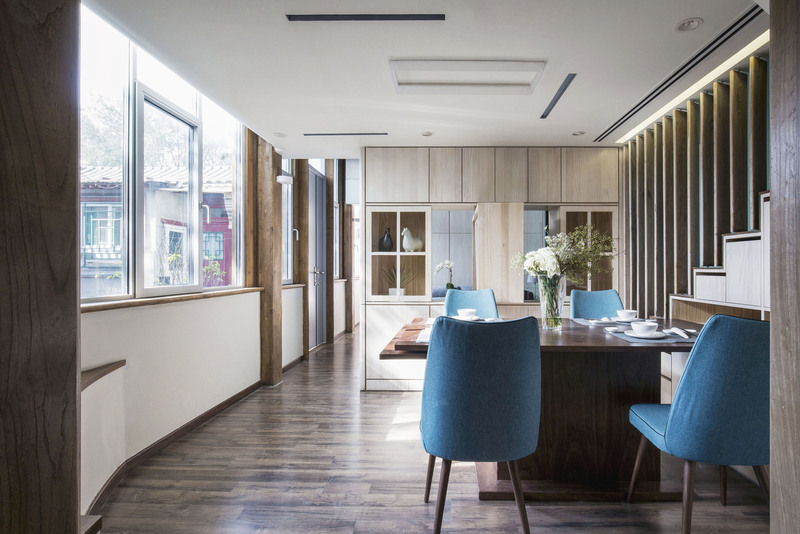 The layout of the courtyard and the surrounding houses gives each generation their own private living space, but they’re connected to each other, and the flat, accessible courtyard allows the client’s mother to get around in her wheelchair. 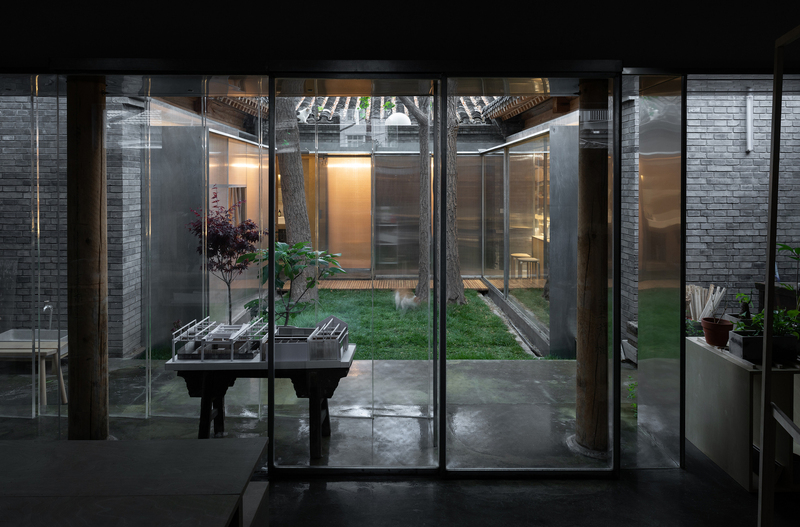 “Tea House in Hutong” by ARCHSTUDIO is a striking example of the bolder approach. Forced to demolish parts that were too unsafe to keep, the architects added new wood and metal structures and created more enclosed spaces protected from the elements by adding a white-painted concrete roof. Openings to the outdoors are glassed in like atriums, and you can still get a sense of the original space as you gaze across the courtyard despite all of these alterations. 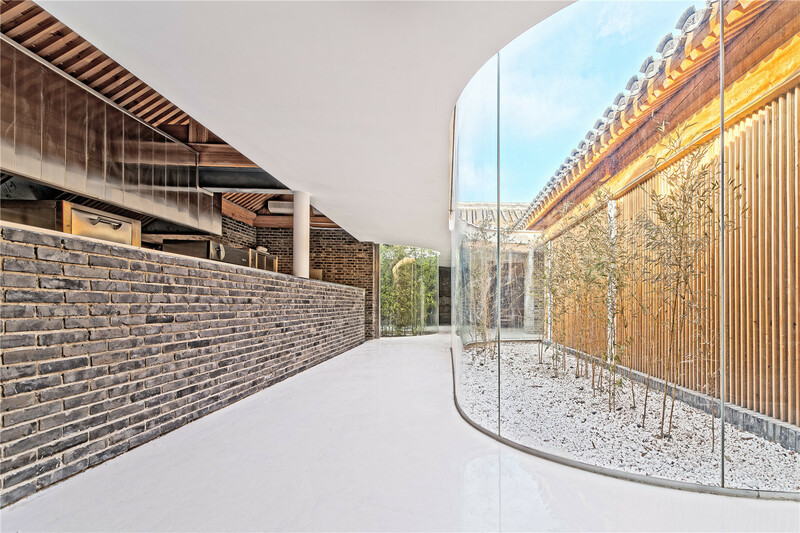 The same firm took an old siheyuan in Beijing’s Dashilar Area and transformed it into a public space with a dramatic, river-like undulating surface of grey brick that flows in and out of the interior and exterior spaces. 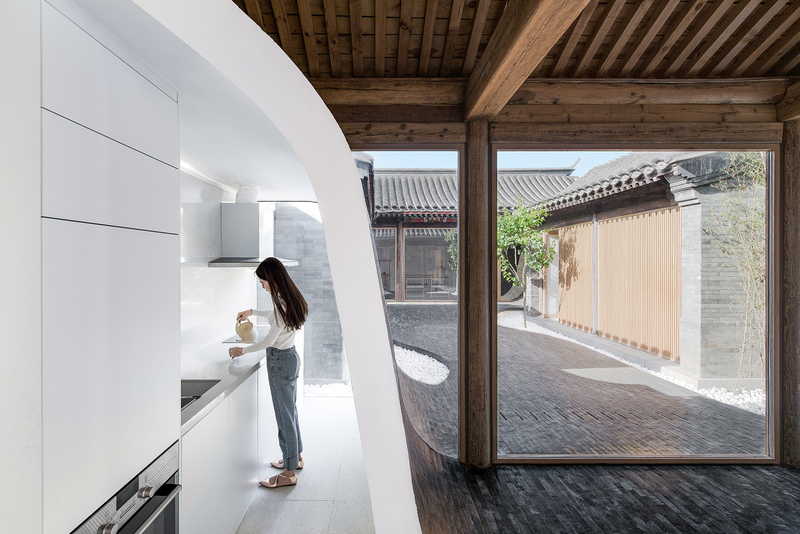 Curved walls hide auxiliary spaces like the kitchen, bathrooms, private guest rooms and storage areas while visually connecting communal spaces like the dining room and reception to the courtyard. It’s not subtle by any means and it doesn’t shy away from ultramodern touches, but somehow the combination of old and new still feels cohesive.